I wish I could say straight off how much I enjoyed Jess and Joe Forever. 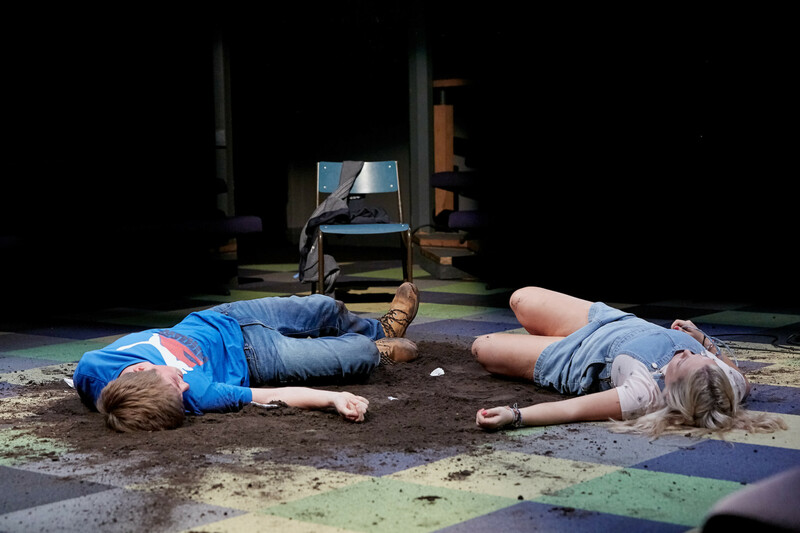 To tell truth, it was only after reading Zoe Cooper’s script that I really began to fully appreciate the beauty in it. And it is a remarkable script, a wonderfully imaginative treatment of the messy world of childhood merging into puberty and adolescence. Cooper in an apparently slight two-handed story about a friendship between rural Joe and townie and boarding school tubby Jess covers an amazing range of current issues around growing up: school bullying, class, bulimia, ethical farming, and not least gender identity. Cooper also weaves in some lovely transformative elements of transition through the Egyptian dog goddess of change. And does this all with clever theatrical devices employing not just direct speech and the two protagonists telling their various stories but breaking it up inside a structure as if Jess and Joe were preparing a school presentation. The problem for this viewer was that in the Orange Tree’s in-the-round setting and with voice levels high pitched to 9, 11, 13 and fourteen year olds, the real sinew and feast of what Cooper is trying to put over almost eluded me. Even so, what came across on first viewing was a touching, almost mystical series of enchantments detailing the mystery of growing up. How Jess found Joe, how through succeeding summer holidays spent in a Norfolk village, beside a river and the sea, their friendship grew through awkward embarrassment to knowledge, trust and first love while dealing with the tender issue of gender difference and village intolerance, has to be seen to be appreciated. I treasure the fun, the humour and the sensitivity of Cooper’s script and wish I’d understood more of it at first sight. 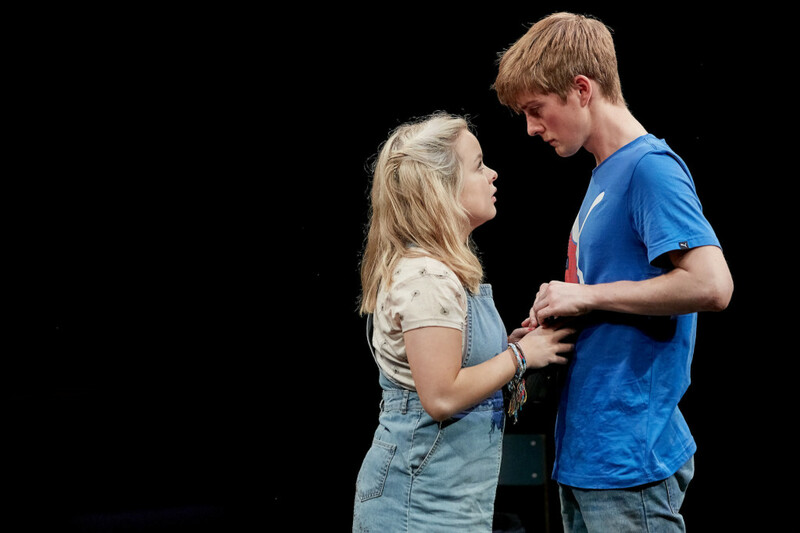 But I’ve nothing but praise for both performers though because of the pitch of Rhys Isaac-Jones’s voice, Joe became more of a living person to me than Nicola Coughlan’s gutsy Jess. Rhys Isaac-Jones though is a portrait to savour of sweetness and naivety. The audience, needless to say, in an Orange Tree attracting increasingly younger, enthusiastic support caught it and ran with every word. In short, they loved it. It resonated. As I’m sure it will on its subsequent national tour. 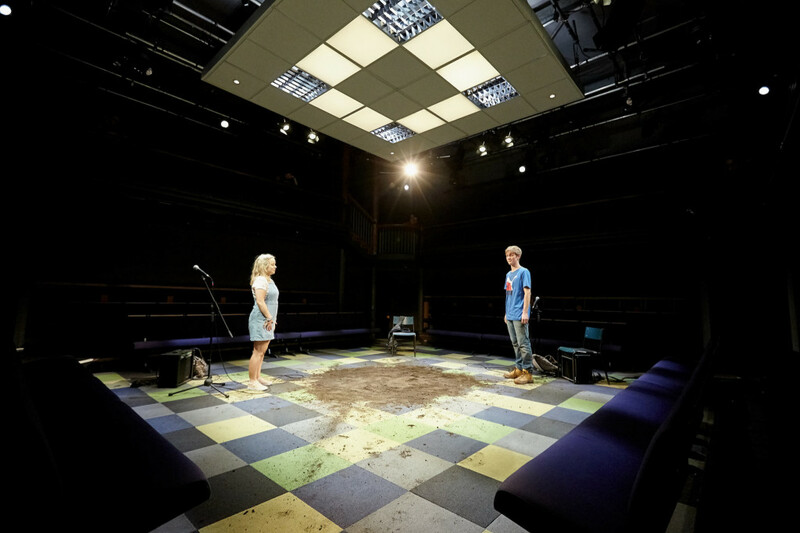 Jess and Joe Forever runs at the Orange Tree, Richmond to Oct 8, 2016; thereafter, presented by house, tours to Havant, Canterbury, Norwich, Sheringham, Colchester, Harlow, Didcot, Newcastle, Watford, Farnham Maltings, Petersfield. First perf at the Orange Tree, Sept 8, 2016. This entry was posted in 2016, Reviews and tagged Derek Bond, first love, gender identity, Orange Tree, puberty and adolescence, rites of passage, Zoe Cooper on September 18, 2016 by Carole Woddis.